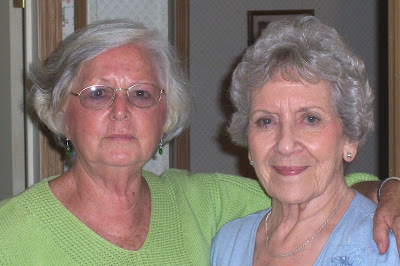 John's mother, Margaret (l) and Julie's mother, Lois (r). Margaret lives in Linden, TN with John's stepfather, Neal Parrish. Lois lives in Nashville, TN with her daughter, Diane Mayfield (Julie's sister) and family. Both of these ladies love the Lord Jesus and pray for us and our family every day. We won't tell you their ages because you can see how young they are.